A new edition to the Lush Christmas line up for 2014 is the Dashing Santa Bath Bomb. With the refreshing yet Christmassy scent of satsumas, the Mandarin Oil, Bergamot Oil and Orange Flower Absolute infused Dashing Santa will lift your spirits and – as Lush suggests – put a spring in your steps. When I popped this guy in the bath he immediately started fizzing away and turning the bath water a pretty red – my fiancé decided it looked like watery jelly. It took around 15 minutes for the bath bomb to dissolve completely. Unfortunately the scent of this bath bomb did not last long and once I had put it in the water, which is a shame as it smelt so good before. I was hoping the citrusy smell would last for the entire bath. 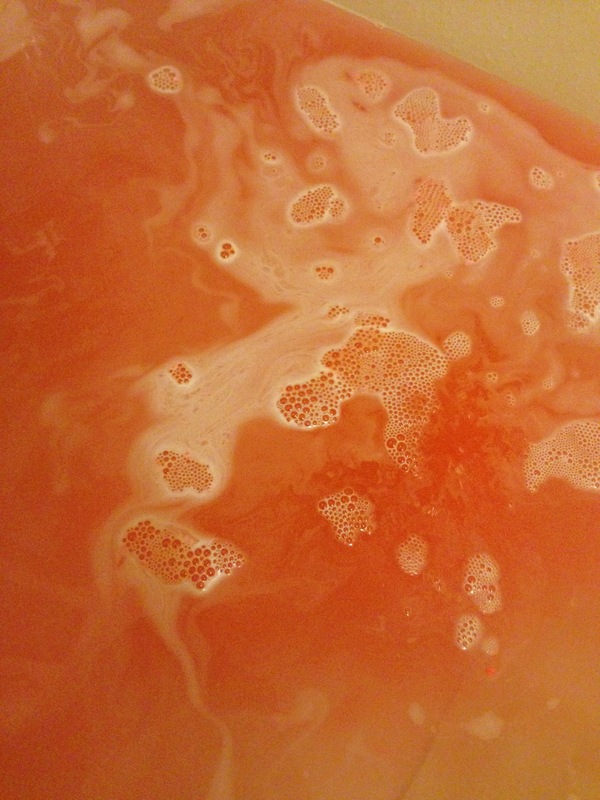 Due to this I probably won’t be purchasing this bath bomb again as there are others from the Christmas range I like better, but if you aren’t worried about the scent fading then this would be a good one to try as it makes the water look lovely and Christmassy. 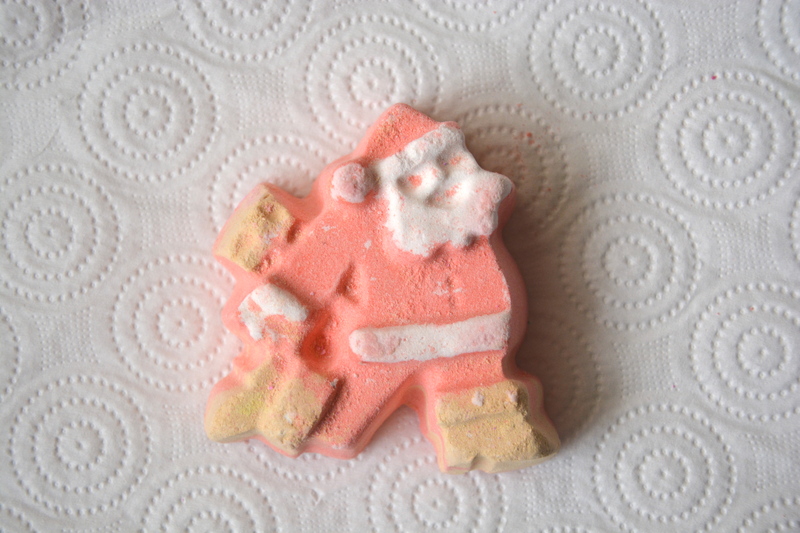 Dashing Santa Bath Bomb is priced at £2.95 and is available here.